Daniil Kvyat and Kimi Raikkonen broke the 1m18s barrier on the third day of pre-season testing as Williams finally started runningwith its new car. On a day interrupted by a number of red flags caused by Haas, Raikkonen led the way until the closing moments, having posted a 1m17.762s late in the morning session on the softest tire compound available — known as C5. The Alfa Romeo has looked strong throughout the opening week and a low fuel run impressed on Wednesday. But Raikkonen’s headlines were stolen by Kvyat in the final 15 minutes of the day. 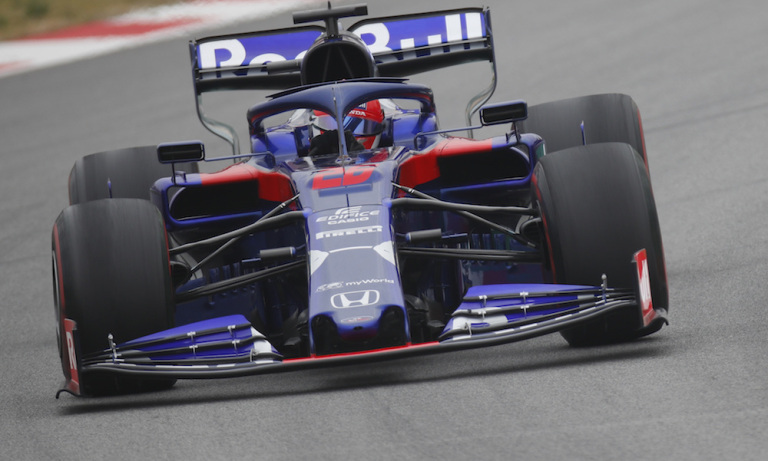 Initially on the C4 compound, Kvyat posted a lap time good enough for the top three, but he then went out for a short run on the C5s and duly pipped Raikkonen by 0.058s with a 1m17.704s. Kvyat was one shy of Raikkonen’s total of 138 laps — the most completed by a single driver on Wednesday — but Toro Rosso now has the fastest time of the week so far. The Toro Rosso and Alfa Romeo were the only cars under 1m18s, with Daniel Ricciardo third fastest on a 1m18.164s. 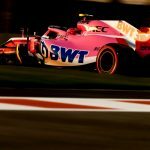 The Australian saw his running on Tuesday cut short by a rear wing failure when his DRS was open, but he bounced back with 80 laps on day three as Renault confirmed the car was operating as normal. Ricciardo’s best lap came on the C4 compound tire, meaning although he was just 0.003s off Sebastian Vettel’s time from Monday, it was set on a softer compound. Vettel again focused his running on the tire in the middle of Pirelli’s range — the C3 — and managed 134 laps as he ended up fourth quickest. Ferrari had followed a similar program to the opening two days in setting the pace during most of the morning — Vettel less than 0.2s off his previous best from earlier in the week — until Raikkonen’s low fuel lap. Ferrari again looked in good shape, however, with Lewis Hamilton’s comments that the Scuderia “looks very, very strong” being backed up by a 1m18.614s on the harder C2 tires when the track was cold and offering low grip levels early on in the day. Hamilton found himself near the bottom of the timing screens along with teammate Valtteri Bottas, as Mercedes was once again not showing any sort of representative performance, completing the highest team mileage with 182 laps as both drivers got close to three figures. 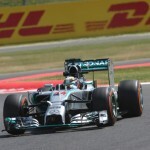 Bottas was 11th overall and a little over 0.1s ahead of Hamilton, with the team’s best lap a 1m20.693s on the C3 tire. It wasn’t just Mercedes that made the bottom of the timing screens intriguing though, as Williams finally registered some laps on day three. With the FW42 arriving overnight, the team did well to get out on track shortly after the lunch break for an installation lap. George Russell eventually finished with 23 laps to his name despite the car not running in the correct specification as Williams waits for more parts to arrive this evening, with his best time of 1m25.625s some eight seconds off the pace. 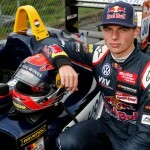 Max Verstappen was the only other driver to exceed 100 laps on his own, as he finished fifth overall for Red Bull Honda with 109 laps and a best lap of 1m18.787s on the C3 tire. His lap marked Red Bull’s quickest of the week so far, albeit over a second adrift of Kvyat. True time deltas between the various tire compounds are still hard to ascertain due to the lack of data in similar track conditions, with Pirelli often providing an estimate by the end of testing. 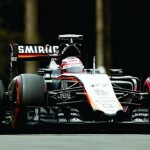 Nico Hulkenberg was sixth after spending the morning in the Renault, with the team completing a combined 163 laps. 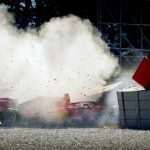 The German was just ahead of the Haas pair of Romain Grosjean and Pietro Fittipaldi, but three stoppages made for a frustrating day for the team. After Fittipaldi stopped on the approach to Turn 9 in the morning session, Grosjean followed suit in the afternoon and then made it a hat-trick when he brought out the red flags with five minutes remaining. The final stoppage came at Turn 6 and was due to a loss of hydraulic pressure, resulting in an early end to the session. Haas was the only team to cause a red flag on Wednesday, although Carlos Sainz tried his best after spinning in the morning session. The McLaren driver — who had missed the first two hours of the session while the team completed major overnight work on the car — tried to turn in at Turn 14 while still on the curb on the outside of the track and spun into the gravel, but was able to get out again and recover to the pits. 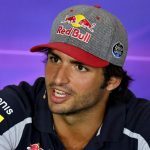 Sainz ended up ninth quickest with 90 laps to his name, which was a solid total given the lack of running during the morning session. Racing Point’s slow start to testing continued with the RP19 only adding 67 laps to its total for the week, with Sergio Perez 10th quickest ahead of the Mercedes pair. Money talks: Is The Dakar Rally Headed To Saudi Arabia For 2020?